Bute as a community has long been keen to engage in ways to reduce our impact upon the environment. From recycling to reuse, there are opportunities to minimise our waste across the island. Whether finding a second home for your old sofa or composting your garden waste, there are always ways to reduce the amount we send to landfill. Understanding this has been the aim of a European-wide campaign this week- the European Week of Waste Reduction (EWWR). This campaign aims to raise awareness of reuse and recycling, as well as encouraging members of the public to seek new ways of reducing their consumption. EWWR helps to focus on the ‘three R’s’- reduce, reuse and recycle. It can be no surprise then that this has been a campaign championed by Fyne Futures recycling crew and the ‘ReStyle’ furniture re-use shop. Their continued work helps us reduce the waste produced by Bute and all this week the shop has had an ongoing sale to promote this. EWWR and the associated sale continue until November 25. This is not the only local action that Fyne Futures are currently undertaking. 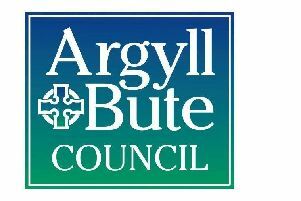 As part of their ongoing ‘Bute Carbon Free Food’ project they are delivering a series of cooking events aimed at promoting local and seasonal produce. The latest event was held on November 21 at Green Tree; a ‘pot luck’ event where participants were invited to bring a dish from somewhere in the world special to them. This could be where they came from, a favourite holiday destination or somewhere close to them. The evening produced a delicious variety of tastes! The next planned event takes place on December 5- a ‘Festive Feast’. During December there are several religious celebrations and a food event marking this will be held on the first Wednesday evening of December. There will of course be opportunities to reduce waste even here, no doubts with leftovers being taken away as before- assuming anything is left over! Fyne Futures is a registered charity. Our purpose is to Inspire, Educate and Empower people to take Action and achieve Sustainable rural living. The ReStyle shop accepts items that are in reasonable condition and bring the sparkle back, making them available for re-sale at great prices.